If your vehicle has been involved in a collision or has a major mechanical failure, you are likely to find yourself at the mercy of the insurance company. But why accept the low prices offered for your vehicle from the insurance companies when you can come to BMS Salvage and get more for your repairable vehicle. Our national network of salvage car buyers has given us an advantage which enables us to pay higher than average prices so why not sell your salvage car to us? Just submit your vehicle details on the form above and let us know as much as possible about your vehicle. One of our valuations advisors will then collate this info and start on the process of tendering your car for quotes. We may in some circumstances need to contact you for more information, so it is important that the contact phone number and email address provided are correct. 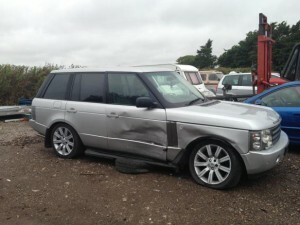 Pricing a salvage car is based on many factors. Any history on the car is always helpful. Maybe you had extensive work done last year or the car has never missed a beat before the collision. You may have a list of advisories from the last MOT? The vehicle may have a reconditioned engine? Whatever you know, let us know. If the vehicle was involved in a collision, photos are very important. There is a section within the form where you can upload your photos. 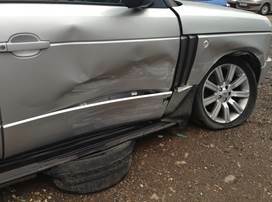 Please ensure that the images are clear and show the full damage on the car. Bear in mind that a close up photos do not always fully portray the damage and can sometimes make it look worse than it is. Try and get one close up photo and one full car image. These are good and useful photos. The close up shot is close enough to see the severity of the damage and the zoomed out shot clearly shows the extent of the damage.